The University of Tennessee Health Science Center (UTHSC) and Methodist Healthcare became formally affiliated in 2002, making Methodist the principal adult private teaching hospital in Shelby County for UTHSC. Methodist Memphis Hospitals has been named the Best Hospital in Memphis once again by U.S. News and World Report. 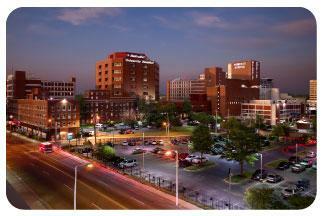 Of all 25 hospitals in the Memphis, Tennessee metropolitan area, Methodist is the top-ranking. Nationally recognized for its success with kidney, liver, kidney-pancreas and pancreas transplants, Methodist University Hospital Transplant Institute in Memphis, Tennessee, has been a leader in the field for more than 40 years. The program offers hope to patients with conditions such as kidney failure and end-stage liver diseases such as cirrhosis, Hepatitis C and diabetes. This new position will be joining a four (4) member academic hepatology group based at Methodist University Hospital. The institute is supported by Hepatology and Gastroenterology Fellows. Our Hepatologists share call with additional Gastroenterology Faulty at UTHSC and are actively involved in Gastroenterology Fellowship training. The ideal candidate will be Board Certified/Eligible in Transplant Hepatology and have experience in an academic setting. Candidates should welcome the opportunity to teach medical students and residents and participate in research. Academic appointment and salary will be commensurate with qualifications.